[4.5 Billion Years of Wonder] Random bits from my second day at Worldcon - That science don't love you! I'm having so much more fun here than I had at Denvention. This is probably because I'm not not in the middle of a twelve-credit summer semester and learning Japanese from the yuurei in the Prince of Darkness' closet. Getting to actually attend most of the con is certainly helping. The SFWA table and suite seem to be competing over which gets to eat my soul first. I've been at the table for an hour and a half each day at least. But it's been fun, since I've gotten to meet a lot of other SFWA people that way and have had some good conversations. Then I go to the suite and instead of sitting and having a beer (my normal plan) I end up slicing strawberries or helping unfuck the room after a party. It's actually kind of fun, to feel like I'm helping out. Then I get to grab a plate of potato salad and a sammich and run back downstairs, consuming most of it in the elevator. Today someone did make fun of me for putting miracle whip on white bread. I guess I deserved that. 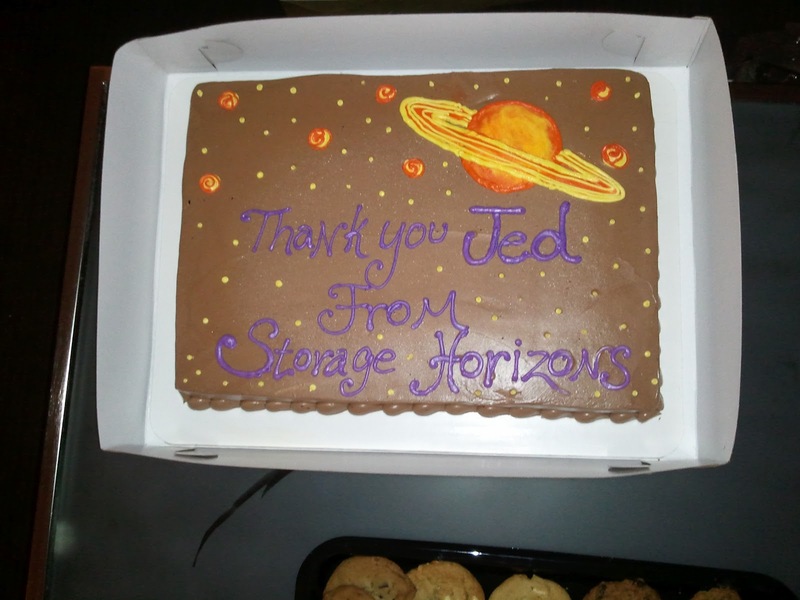 The Strange Horizons tea party today was excellent. I got to officially meet all the new editorial staff, which was exciting. I have been taking copious notes in all the panels I've attended. Once I have time, I'll be getting those sorted out and adding my own thoughts, then posting them on the blog. So keep an eye out for that. I've found the panels very interesting so far, so hopefully you will too! I also found out today that (a) there was a vote on whether or not there'd be a Hugo for Young Adult novels, and (b) the vote failed. This was all kind of a surprise to me. I'm going to be saying a few things about that as well, since I can't imagine I'm the only one who didn't see that coming in any way, but a little later. I can't be coherent about it right now. Worldcon in 2013 will be in San Antonio, TX. In 2014 it will be in London, UK - technically it's not confirmed yet but they are running their bid unopposed so it's pretty much a foregone conclusion. Valuable lesson learned: when you're having Chicago deep-dish pizza, don't send a slice into your stomach with a buddy. They can wreak exponentially more havoc when they can watch each other's backs. So tonight I'm quietly partying in my room with a can of ginger ale. Valuable lesson number two: when a man complains that two pieces of pizza might not be enough to slay his reasonable hunger, this should not be taken as a sign that two pieces is the ideal size of a meal. Valuable lesson number three, completely unrelated to the first two: A panel about feminism in fantasy is probably not the place to look for sympathy toward your hypothesis that Buffy the Vampire Slayer is in some way emasculating and demeaning toward men because Xander is insufficiently badass. Drive by comment: Oh man, the Roy Orbison in Cling-film stories! XD I've encountered them so many times at this point, and if anything they just get funnier. Still, my favorite reactions to the whole thing were probably from this episode of the F-Plus. .